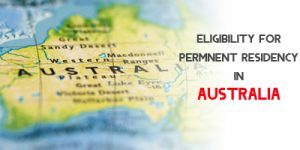 Who Can Apply for Australia Permanent Residence Visa? 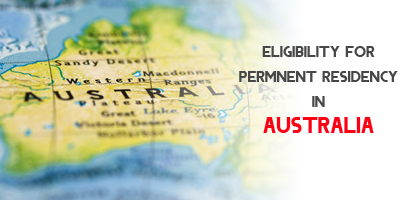 Australia PR: Australian Permanent Residence gives you the freedom to work, study and travel throughout the country. This visa is granted to the responsible immigrants, who live up to the standards set by the Australia. Good character, experience and your contribution to the Australian economy can fetch you the permanent resident visa. More than two million Asians have Settled in Australia with Different Visa Programs. • Must have lived in Australia for two years and more. • Must score minimum points set by the visa program. • Must have good communication and education background. • Character certificate approved by the Federal Reserve Police of Australia. For Australia PR Application, applicants from India have to approach the New Delhi Australia High Commission to lodge an application. Based on your details the designated officer will guide you to which category, you are expected to apply. Visa processing is not that easy, it requires numerous checks, and immigration delays are quite common. It is not advised, but you can approach the best Australian Visa Consultants in India, who can guide you through the process. How to become permanent residents of Australia? What do the ETA People need to Visit Australia Visa? I’m persuing my post graduation in India. So can i shift it to australia to continue my education. If i get Australia Permanent Resident Visa , Then how many days it will take process to move to Australia?